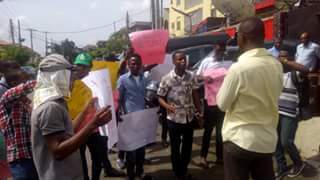 On May 22, students from several campuses, including Yaba College of Technology (YabaTech) marched under the banner of the Alliance of Nigerian Students against Neoliberal Attacks (ANSA), to protest anti-poor policies of the Lagos state government as they affect the education sector. The mass action was planned as a picket of the special sitting of the Lagos State House of Assembly, one of the events organized by the Lagos state government for its “Lagos at 50” celebrations. The special sitting which had some members of the National Assembly in attendance was meant to discuss a possible new legislative agenda for the state, which would involve the repeal of some laws that have been enacted since 1979. The decision to picket the State Assembly was not borne out of any illusion in the bosses’ legislating away their powers and privileges. A sizeable number of the laws passed have served to pave the way for the rich to get richer and the poor poorer. These include legislation for promoting the institutionalization of Public-Private Partnerships (PPPs) of utilities such as water and electricity, and increases in tuition fees across several Lagos state-owned higher institutions. We decided to Occupy the Lagos State House with the intention of bringing our collective power to bear in forcing the bosses to reverse anti-poor laws and policies in general and those which make it increasingly difficult for youth from poor working class backgrounds to access quality education at primary, secondary and tertiary levels, in Lagos. This would serve as an inspiration for students in other states across the country to keep up the fight for education as a right and not a privilege. The situation in public schools is becoming unbearable for children of poor working-class people. In recent times, we have seen outrageous fee hikes in several schools like YABATECH, TASUED, UNILAG and FUTO, in a new wave of commodification of education, rolling back the limited gains of earlier resistance. Fresh students in particular are being made to face very hard times. 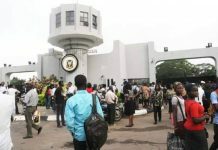 The management of Yaba College of Technology, for example, has introduced an acceptance fee of N20,000 for fresh students. School fees for both fresh and returning students has also risen to outrageous amounts as high as over N50, 000 for some courses. To make it easier for the school’s management to get away with this obnoxious fees hike, the students’ union was banned for spurious reasons. 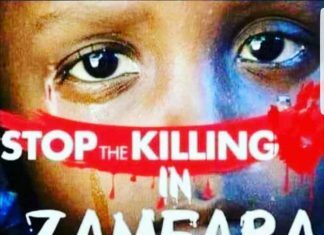 But, the bosses fail to realise that, no matter their antics, you cannot kill the will for resistance when suffering gets too much and poor people refuse to succumb to despotism. 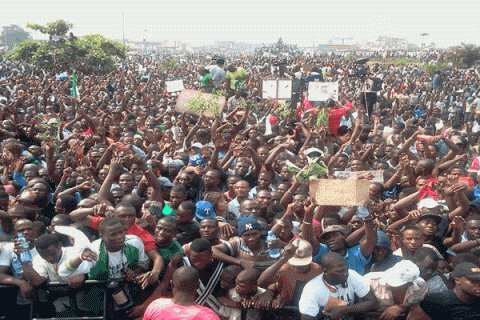 It is totally reprehensible to think that children and wards of poor people displaced or killed like the 22 persons at Otodogbame, or who earn a miserly N18,000 as minimum wage while politicians are paid huge emoluments and jumbo allowances can afford to pay this kind of crazy bills for school, while costs of living continue to rise. Many students will obviously find it impossible to enroll for this session, or take up their admission offer. The peaceful ANSA protest, with members of the Socialist Youth League playing leading roles was however met with brazen violence by the state. Fascist-like thugs, who are notorious members of campus confraternities were escorted by a convoy of the Department of State Security to forcibly suppress the protest. Scores of protesters were injured, while Sanyaolu Juwon and Adeyeye Olorunfemi, the National Coordinator and National Secretary of ANSA respectively, were temporarily abducted by these cultists in an attempt to provoke a seemingly students-on-students’ violence. This show of shame commenced just after we finished addressing the mass media. 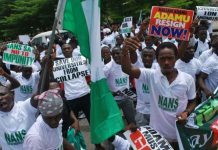 Unlike previous ANSA mass actions earlier this year in Ogun and Oyo State, the protest on May 22 had just a few dozens of protesters as there had been threats of the violence eventually enacted, leading to many students not taking part out of concerns for their safety and security. This largely accounted for our being dispersed so easily. The dynamics of the May 22 protest further goes to show the crucial need for solidarity, including joint actions between students and trade unions in the education sector for us to turn back the tide of attacks against public education. While we will not relent on our part in the struggle to salvage the education sector from absolute ruin even in the face of heartrending victimizations, we also firmly believe that only united struggles of the workers and students can put an end to the spate of attacks on the education system. 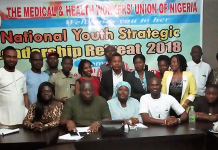 We thus call for a united platform of struggle with ASUU, NASU, ASUP, SSANU, COEASU, SSANIP, NUT towards winning education as a fundamental right and not a privilege reserved for the children and wards of the rich 1%. Previous articleWill the left win from the British general election?